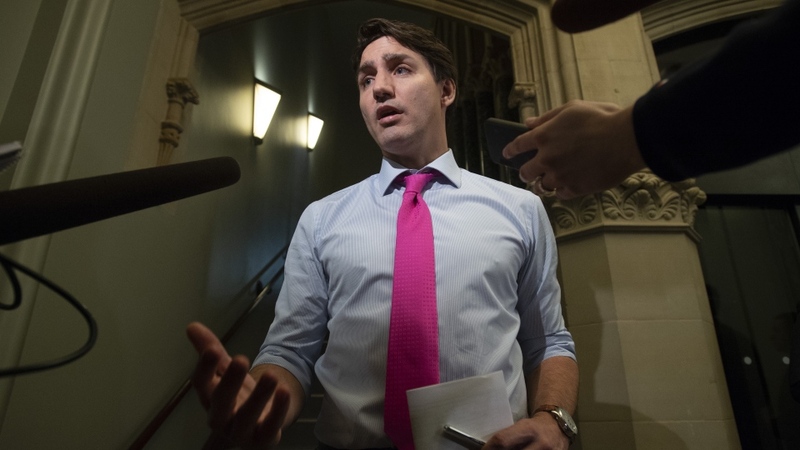 OTTAWA -- Prime Minister Justin Trudeau is defending controversial changes to asylum laws included in an omnibus budget bill tabled this week, saying his government wants to ensure Canada's refugee system is fair for everyone. The changes would prevent asylum-seekers from making refugee claims in Canada if they have made similar claims in certain other countries, including the United States -- a move Border Security Minister Bill Blair says is aimed at preventing "asylum-shopping." Trudeau said Wednesday that Canada has been seeing larger numbers of refugee claims because of global instability. Sustaining Canadians' confidence in the country's asylum system means ensuring those who enter Canada must do so according to the law, he said. More than 41,000 asylum-seekers have crossed into Canada "irregularly" through unofficial paths along the Canada-U.S. border since early 2017. By doing this, they take advantage of a loophole in Canada's "Safe Third Country Agreement" with the United States that allows refugees who find a way to get to Canada by avoiding official border checkpoints to make refugee claims in Canada. The agreement would otherwise see them turned back to the U.S. -- a country Canada officially considers safe for them. "Every single person who comes to Canada -- whether it's regularly or irregularly -- goes through our immigration system, gets the full treatment within our asylum system." For his part, Conservative Leader Andrew Scheer blames Canada's border woes on Trudeau, based on a tweet he issued in 2017 in which he welcomed refugees to Canada. Given the timing, it appeared to be a response to Trump's changes to the U.S. rules.